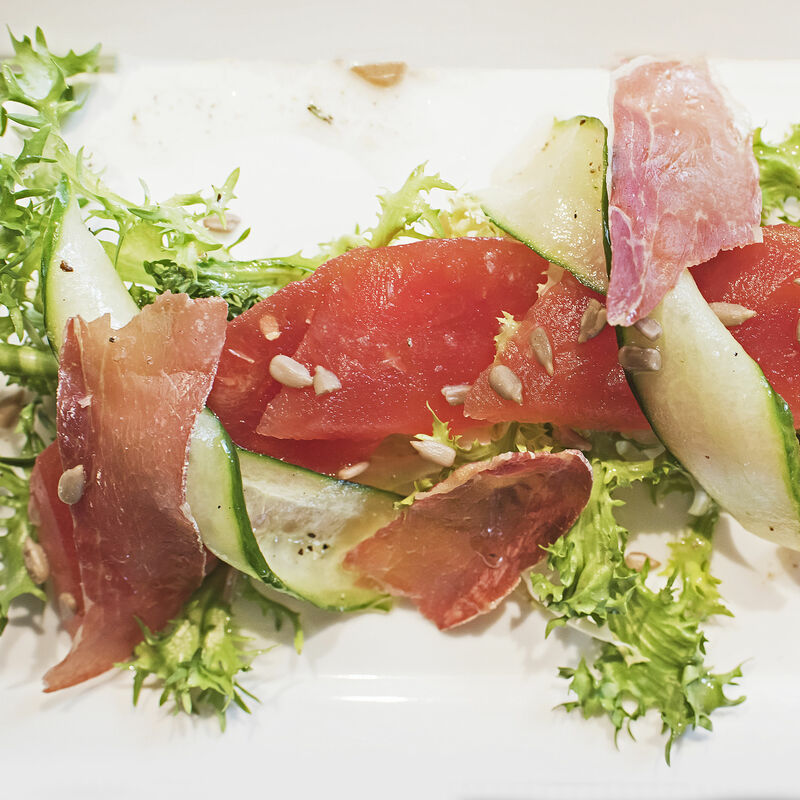 Frisee greens, marinated cucumber, seasonal melon, and a rosemary-lemon vinaigarette make up Twisted Fern's compressed melon salad. 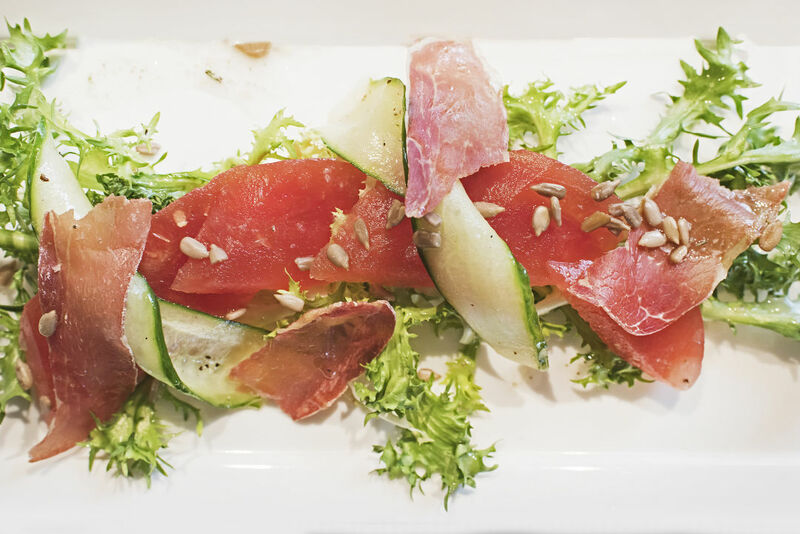 Rare is the Park City eatery that serves up creative, flavorful, foodie-standard fare at middle-of-the-week price point. Until now, that is. "I wanted to create the kind of place that people would feel equally comfortable going to for date night or after a mountain bike ride that wouldn't break the bank," says Adam Ross, chef and co-owner of Twisted Fern. Located in The Market at Park City strip mall (1300 Snow Creek Dr), Ross and his wife and Twisted Fern co-owner, Meisha Lawson Ross, teamed up with local interior designer, Lia Aguirre with Area Design, to transform what was once a non-descript commercial space into a light-filled, hip bistro designed to reflect Ross's creative menu. The interior is finished with tables custom-made by Ross's father, Neil Ross. The sleek and light filled interior at Twisted Fern. Twisted Fern more than lives up to it's mantra "real food, the kind that comes directly from plants and animals, is naturally fresh, nourishing, wholesome, and pleasant." On a recent visit, the Shorty Melt -- an open-face sandwich reminiscent of a reuben -- was, at the same time comfortingly satisfying and an unexpected exploration of multiple flavors and textures. The wild mushroom pappardelle pasta was delicate and lovely featuring melt-in-your mouth morels, a well-seasoned broth, and -- very apropos -- slightly crunchy little fiddleheads. 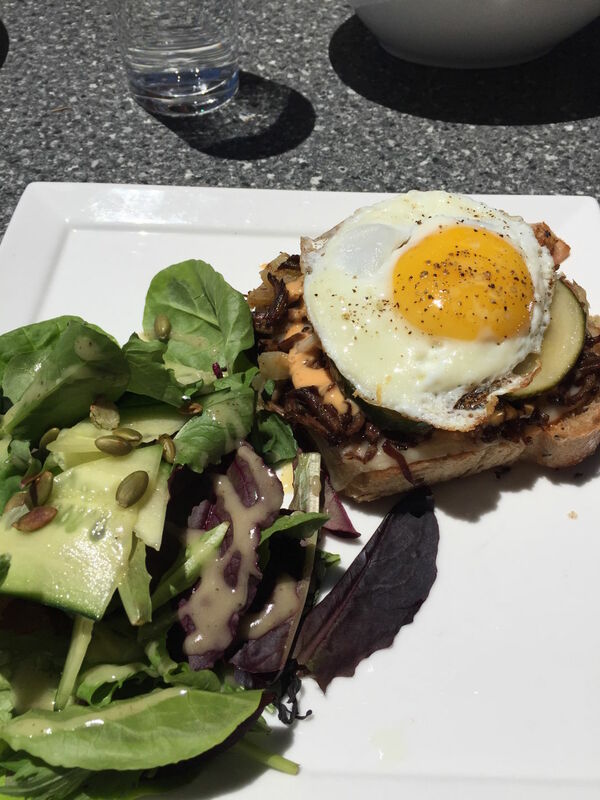 The shorty melt, a crave-worthy reuben-like sammy made with braised short ribs gruyere cheese, garlic pickles, apple-bacon sauerkraut, and a fried egg. 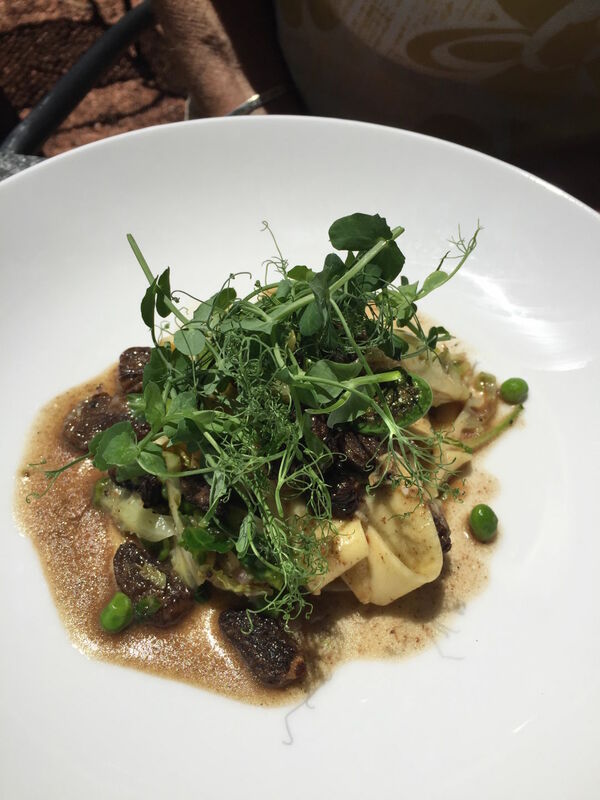 The mushrooms in the wild mushroom pappardelle pasta change based on what's fresh. 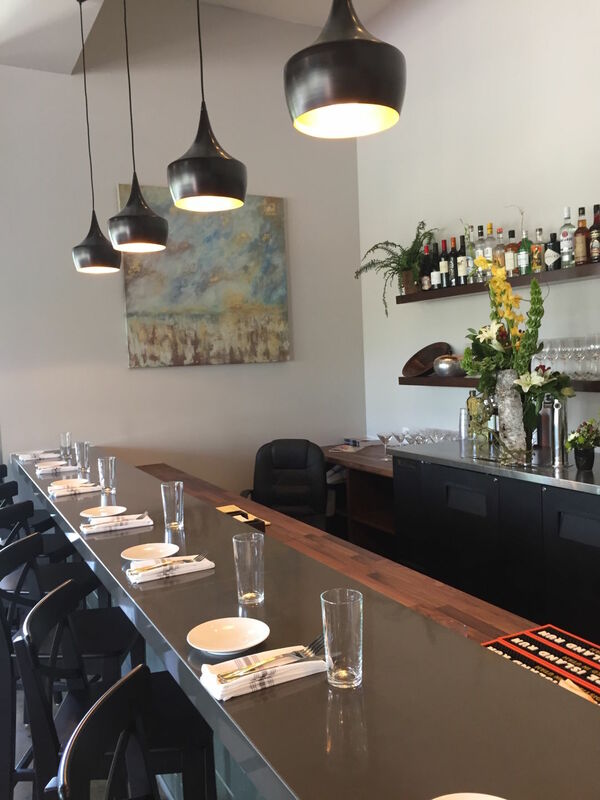 New American best describes the cuisine at Twisted Fern, but influences from several other culinary genres are evident in the dish descriptions, from the Carolina Pork sandwich and the "Speidies" chicken sandwich to the grilled eggplant Caprese and Plancha calamari appetizers. Do not, however, leave without getting an order of the garlic and sesame chickpeas, a truly addictive munchie that would pair well with any of the glasses of wine, beers, or cocktails on the short but sweet bar menu. "We believe serving minimally processed real food should be the norm, not a catchy pitch," Ross says. We couldn't agree more.